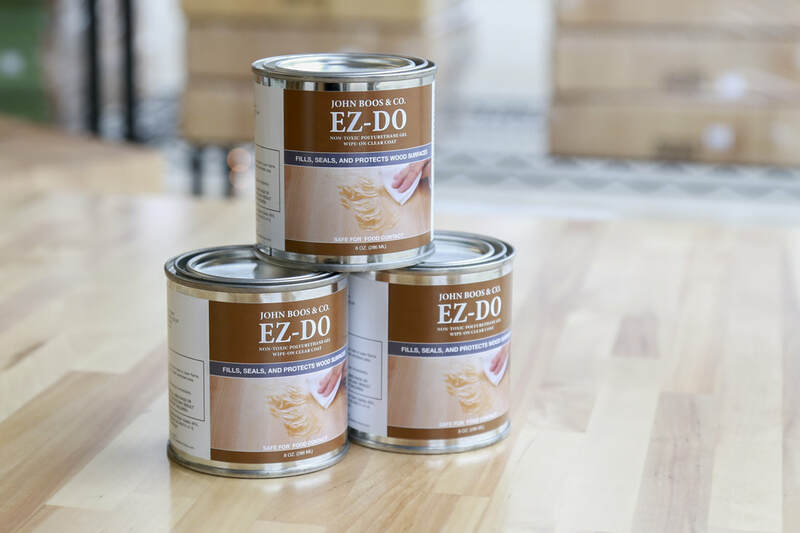 EZ-DO Wipe On Polyurethane Gel Is The Best Product For Dining, Furniture Finishes. This Gel Seals And Protects Wood Surfaces In One Easy Step. This Food-Safe Poly Gel Is Recommended For Our Varnique And Oil Finish Tops. John Boos Mystery Oil is recommended for care of tops & blocks that are used as a working or cutting surface. ​This fine oil is a mixture of white mineral oil & beeswax, & will give your John Boos product the same quality finish as the factory. We recommend oiling your tops or blocks every 3-4 weeks. This food-safe oil finish keeps your blocks looking new. This all natural formula penetrates deeply into the grains of the wood, leaves a silky wax barrier and locks moisture in. Used regularly, Boos Block Board Cream will replenish the moisture lost from repeated washings, keeping your butcher blocks, cutting boards, and utensils from drying, bleaching and cracking. 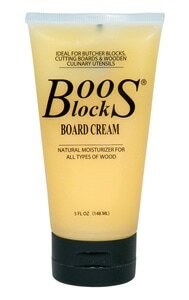 ​Boos Block Board Cream is a special combination of natural unbleached beeswax and food grade mineral oil. Osmo Top Oil is a clear and matte wood finish for kitchen countertops, food prep tops and general interior joinery (table tops and furniture). The Top-Oil surface is extremely tough and hard-wearing. It is water-repellent and dirt-resistant. The finish is resistant against wine, beer, cola, coffee, tea, fruit juices, milk and water etc. Dirt can easily be removed without trace, with no sanding or obvious repair marks. Its not necessary to remove the previous coats of Top oil when reapplying. Application takes 2-3 thin coats applied by brush or lint free cloth. Recommended for interior use only.